Wondering if dental implants are safe? Implants are a popular tooth replacement choice among today’s dental patients. If you think that your mouth would be healthier by getting one or more dental implants installed, then finding out more about the safety of implants is a great idea. Thinking that dental implants are going to be the best choice for improving the health of your mouth? Implants are one of the more commonly chosen replacement options for addressing the missing one or more teeth issues that can quickly lead to your experiencing some additional mouth issues. While many people believe that when one of their teeth are missing it may not be that big of a deal, it is. It may take a few months or so, but over time the teeth next to the empty space will begin to move, which is a problem. Dental implants can fill up this space so that the surrounding teeth are no longer able to move around. Moreover, because implants can offer patients one of the more natural looking dental options available when they are missing one or more teeth, this tooth replacement option is a commonly chosen one. While implants are indeed a popular option for replacing teeth, it is vital for those interested in this option to understand that the entire process will take months to complete. This makes it necessary for someone thinking of having implants completed to be fully dedicated to all aspects and steps before committing to the process. Dental implants are a very safe procedure that dental professionals have been performing for over 30 years now. Moreover, due to modern technologies, the process of installing implants is one that continues to improve over the years. While the implant procedure is indeed deemed to be safe, having implants installed is a surgical procedure. As with any surgical procedure, there are risks involved. While the possibility of infection or rejection is real, the percentage of patients who end up having problems after having implant surgery is tiny. Are dental implants safe for the elderly? Yes, they are. In fact, there is no age limit when it comes to installing implants. As long as the patient is healthy and a dental professional approves the procedure, anyone who is in need of tooth replacement options may qualify for implants, no matter what their age. Interested in getting more information on how dental implants can help you? Great! We would love to make an appointment for you so you can find out whether or not you are a good candidate for dental implants. A good candidate is someone who is in good general health. This includes doing things like eating a healthy diet, exercising regularly, not smoking and being free of any health issues. Although, the American Academy of Implant Dentistry has recently announced that dental implants were found to be safe in patients with uncontrolled diabetes. Be sure to call us now to find out whether you are a good candidate for implants! We are always here to help and answer questions. We want to ensure anyone who is thinking about getting dental implants is informed and ready to have the procedure done. 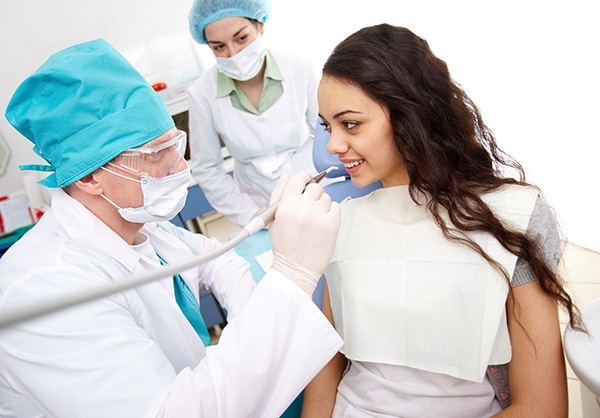 Let us help guide you in making the best decisions for your teeth and oral health! Request an appointment in our Austin dentist office here: https://austinprimarydental.com. « Can Teeth Grinding Cause Pain?